A twist on the traditional sloppy joe! Cook the green lentils in water, as directed. Drain well. Open and the can of sloppy joe sauce. In a large skillet, brown the ground beef with the minced onion and garlic powder. Drain and return to the skillet. 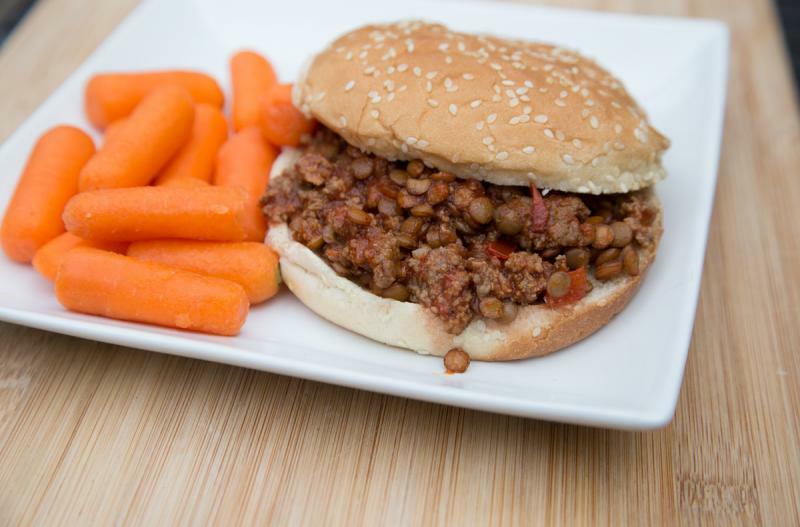 Stir in the cooked lentils and sloppy joe sauce. Bring to bubbling over medium low heat. Add beef mixture to hamburger buns and top with cheese slice, when ready to eat. 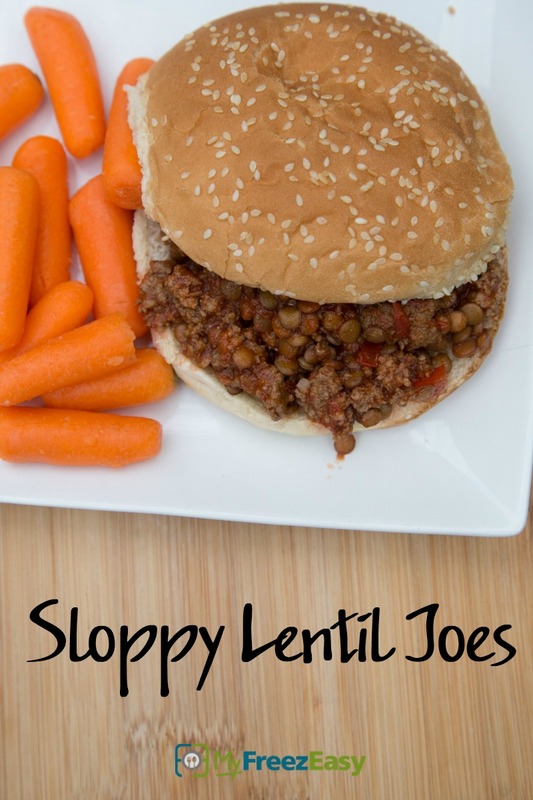 Serve Sloppy Lentil Joes with salad. Brown 1 lbs. ground beef with 1 Tbsp minced onion and 1 tsp garlic powder. Drain and let cool. Cook 2 cups of lentils, as directed. Drain well. Put tray in the freezer and freeze up to 6 months in fridge freezer or 12 months in a deep freezer. Thaw in the fridge overnight, or a warm shallow dish of water for about 20 minutes, before transferring to the skillet and reheating. Omit the cheese for dairy-free meal. Thaw and reheat in skillet. Serve on buns with slice of cheddar cheese.